Here with a new episode and new name! Today I explain the though behind the name change, and talk about mantras! Click here to get the mantra worksheet I mentioned in the podcast. Let me know how it goes! I also spent some time talking to Kim King, an attorney in Florida. She is an awesome mom that makes it work with a heavy and hectic law practice schedule and a husband that works a traditional 9-5. 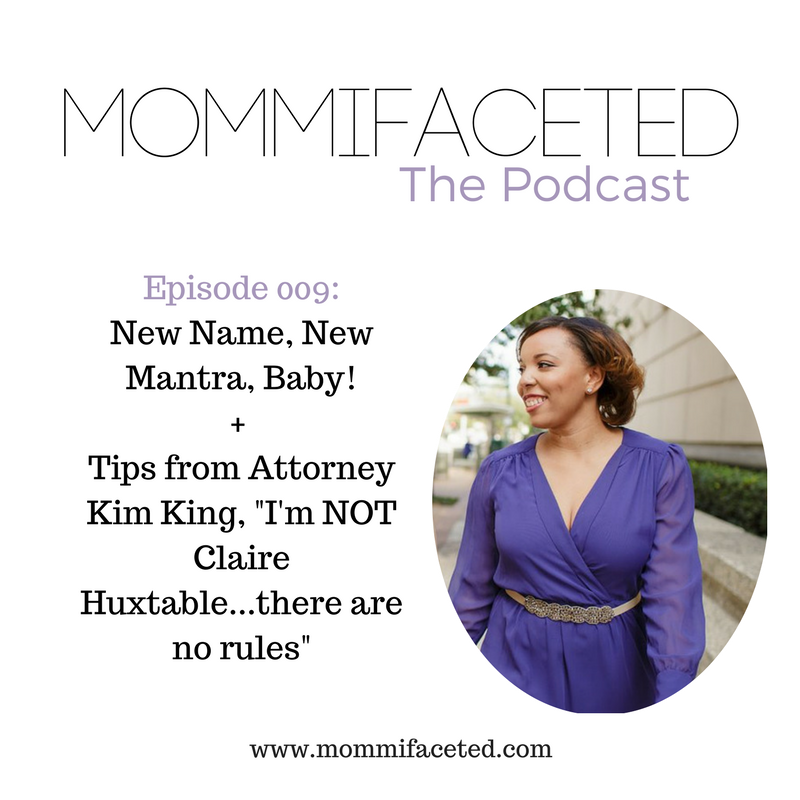 She explains the difference between a real mom and the figure that is Clair Huxtable. Kim also gives her take on mom rules.